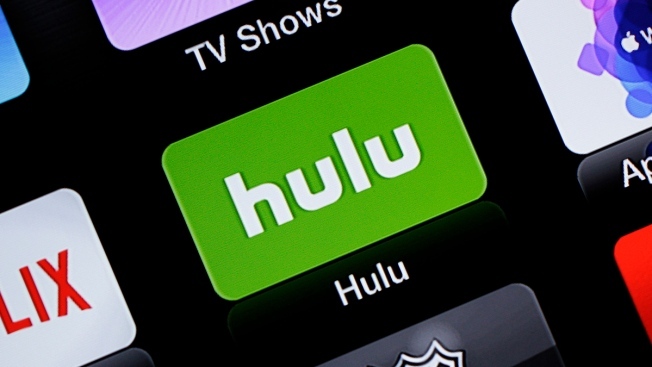 FILE - This June 24, 2015, file photo shows the Hulu Apple TV app icon in South Orange, N.J. Hulu's live-TV streaming service will cost $5 more per month, while its traditional video-on-demand service will be $2 cheaper. Hulu with Live TV, a cable-like package with ESPN and a few dozen other channels, will cost $45 a month starting Feb. 26, 2019. Hulu's live-TV streaming service will cost $5 more per month, while its traditional video-on-demand service will be $2 cheaper.